A few months ago I had taken a workshop by Michael Siegel. He uses a complex palette that reflected the way Rembrandt painted. He was a student of David Leffel. In his website, Bright Light Fine Art, Leffel has video demos that he and Sherrie Mcgraw done in workshops throughout the years. I had been inspired by these videos and practiced using the palette based on Rembrandt. 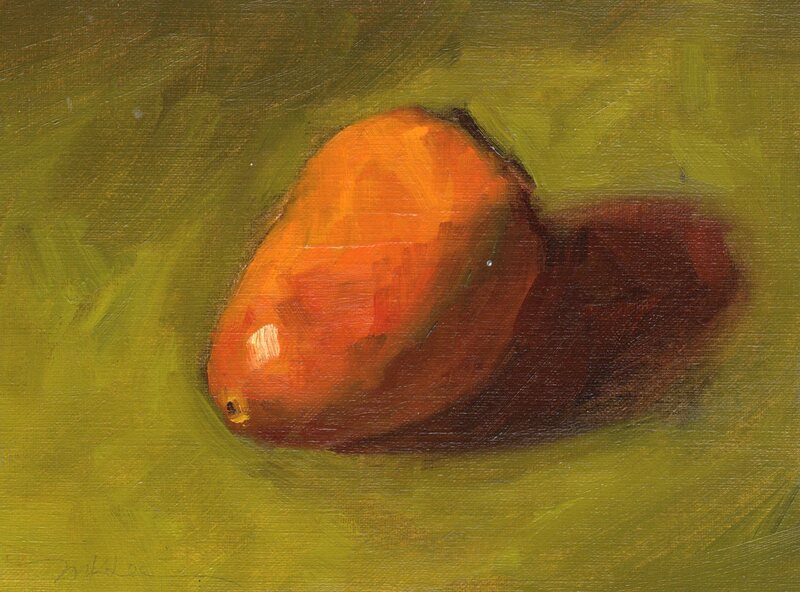 Here is one of a series of paintings on persimmons using this palette. Available for purchase on my Daily Paintworks Shop under “Fruits & Vegetables”.